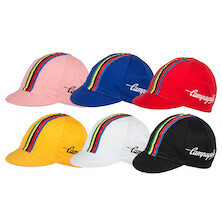 With spring allegedly just around the corner it's time to think about packing away the winter weight clothing, boxing up the heavy duty crab hand gloves, rolling up the Roubaix and start looking forward to the promise of warmer mornings, longer daylight hours and everything else that spring promises, including the Spring Classics. With the clocks due to go back soon there's more riding to be squeezed into every day and it might even be time to bring your best bike out for a few shale down rides. Whatever you have planned to get back on the bike we have the perfect selection of all-seasons clothing to help you make the most of every minute on your bike. Given the chance we'd all prefer to ride when it's not raining. But all too often in the UK that's just not possible. During the spring, it might not be raining when you leave the house but chances are if you stay out long enough then you're going to get wet. Fear not though you have plenty of jacket choices for you. You can either stuff a packable rain jacket in your back pocket or you can choose to take the full ride in a breathable and waterproof jacket. We think each solution has its place and we know the arguments for and against each. For us it's a simple choice, if we're going to be riding hard or if rain looks possible rather than probable then we'll take the packable jacket and choose to trade only being 99% waterproof for the lower bulk and weight of the lighter specification jacket. If rain is pretty much guaranteed then we'll take the fully waterproof jacket with tapes seams, sealed zips and tail flap. On cold mornings it's going to be your extremities that get cold first, keeping your head, hands and feet warm but ensuring that they don't get too hot and sweaty is always a fine balancing act. 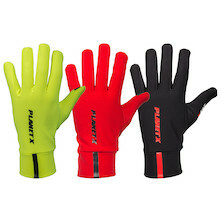 When it comes to spring gloves we think our Hybrid Weather Glove is unbeatable. It mixes a heavyweight Lycra glove with silicon printed palm grip and touch screen compatible fingertips with a PU coated, waterproof over-mitt that keeps the worst of the rain and the cold wind off your fingers. When the sun comes up and the rain stops you can roll away the over-mitt into a hidden pocket on the back of the glove. If you just want warmth without the added rain protection then our 365 Race Gloves are a pared down version of the hybrid model without the waterproof over-mitt. They'll keep you warm on all but the worst days and are totally breathable so they never got too hot and sweaty. With the cold wind whistling through your helmet you'll be glad that we stock such a broad selection of headwear we've got something for everyone, whether you you're a traditionalist who prefers the classic cotton cycling cap to keep the chill off your noggin, or maybe you favour the feel and warmth of modern, technical fabrics and are looking for a seamless skull cap, either way we've got you covered. If you're looking to keep the chill off your neck but don't want to have to ride around with a roll neck top once the sun starts warming the day up then try one of our neck warmers they're just the ticket. Whirring away down below you'll find your feet take the brunt of the cold and if you want a flexible solution to keeping your feet warm then we have a huge selection of overshoes designed to do just that. From our heavyweight, thermal Neoprene Overshoes to our brand new Waterproof Overshoes and everything in-between we have a huge range of overshoes for every rider and all conditions. 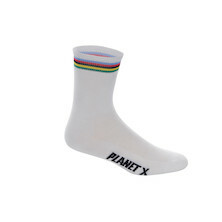 If you're gifted with warm feet then you'll find our Planet X Toe Covers are all that you need to keep the worst of the chill off- and because they're only a toe cover they are much easier to slip on and off as required. Pair up a new set of overshoes with any of our vast range of cycling specific socks and you'll be guaranteed to stay warm. 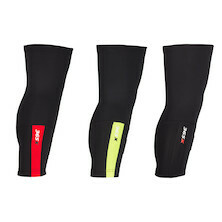 We have Coolmax, and Merino socks available in Thicky and Thinny styles and all available at great prices. Get stocked up now! If your core is cold you'll not stand a chance of keeping your extremities warm so we recommend that you layer up. Our Planet X baselayer clothing is made for us at the same factory all of the big European brands- we just sell it direct and sell it for less! Choose from our long sleeve baselayer range if you prefer to keep your arms wrapped up all ride long or mix and match a short sleeve baselayer and any of our arm warmer range if you prefer the flexibility of being able to shed part of your layers as conditions change. We're big fans of mixing up our Coolmax arm warmers with our short sleeve baselayer top for maximum comfort and flexibility. With your head, hands, feet, arms and torso all taken care of now you need to think about what you're wearing down below. Are you still going to ride out with a full length pair of bib-leggings or is it time to trim down? Maybe mix up a pair of leg warmers with a pair of shorts or maybe show the flesh and pair up some knee warmers with your usual summer shorts. Either way you'll have a flexible solution that allows you to mix and match and peel off layers as conditions change. You can buy all these bits on their own or you can take advantage of our bundle offers- we love to bundle useful items together and offer them at a discount. It makes life easier for our warehouse staff and helps us help you to save even more money! Our all you can feet bundle mixes socks, oversocks and overshoes to keep your feet feeling tip-top. Our Spring Bundle, Super Spring Bundle and Mega Spring Bundle offer amazing value for money and everything you might possible need for a spring ride. Check them out. Last but by no means least in the bundles is our Hi-Viz race pack. 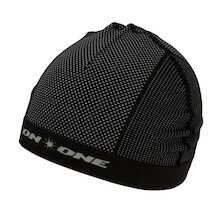 This contains, arm and leg warmers, skull cap and gloves- everything you need to go with you shorts and usual jacket to make the most of these early spring rides.